Your request is sent as an email to the registered contact with us at Pörner Ingenieurgesellschaft mbH. Pörner Group is the independent European company for process plant engineering. As complete plant engineering provider Pörner Group offers the full engineering service range for planning and building of process plants worldwide. The Pörner Group is the independent European company for process plant engineering. As complete plant engineering provider the Pörner Group offers the full engineering service range: from project studies and authority engineering to process engineering, basic and detail engineering as well as procurement to construction management and commissioning of the plant. The Pörner Group offers modern technologies in the world market and supplies complete process plants, amongst others for: bitumen, Solvent Deasphalting, formaldehyde and derivatives. With the Biturox® process, the Pörner Group is a global leader in bitumen production and incorporates the Pörner Bitumen Packing System, an innovative solution for efficient transportation of bitumen in cold state. 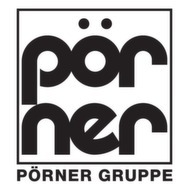 Since its founding 45 years ago the Pörner Group has implemented over 2,000 projects in the fields of: refinery, petrochemical, chemical and pharmaceutical industries as well as energy and environmental technology. Headquartered in Vienna, Austria, the company is represented at eight other locations in Germany, Romania, Ukraine and Russia and has a workforce of about 500 employees. EDL Anlagenbau Gesellschaft mbH located in Leipzig / Germany and with a staff of approx. 150 employees has given proof of its competence and experience in plant engineering for more than 25 years. As engineering partner of the refinery and chemical industry the company offers the full range of services for process plant engineering and efficient technologiers and solutions for lube oil refineries (e.g. Solvent Deasphalting, dewaxing & deoiling) . With more than 45 major modernization projects EDL is also deemed a revamp specialist. As a 100% subsidiary of Pörner Ingenieurgesellschaft mbH in Vienna it has been part of the Pörner Group since 2003.